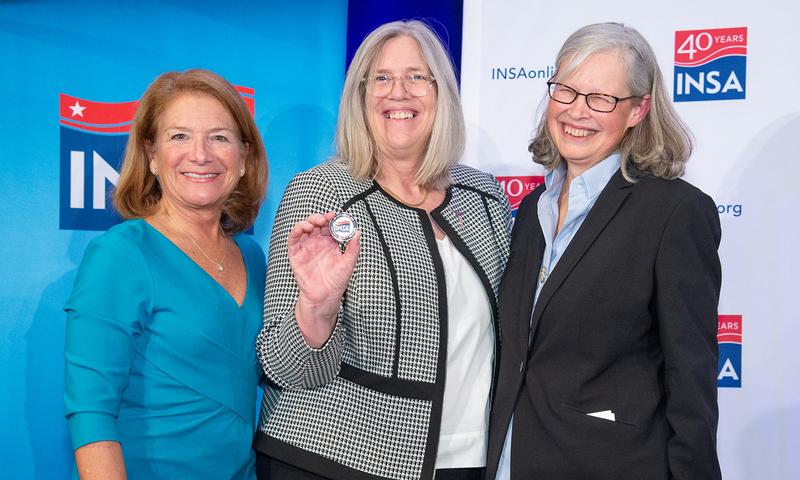 ARLINGTON, VA (July 12, 2017) – Declaring the Central Intelligence Agency would be “relentless to defend against the threats to our nation,” CIA Director Michael Pompeo outlined top national security priorities Tuesday evening at a Leadership Dinner hosted by the Intelligence and National Security Alliance (INSA). He discussed the CIA’s continued commitment to dismantle ISIS and combat international terrorism, and the concerns posed by North Korea’s pursuit of advanced missile weaponry, Iran and its sponsorship of terrorism across the Middle East, and the cyber activities by state and non-state actors, such as WikiLeaks, to erode trust in Western democratic institutions. Director Pompeo discussed how the Agency has approached mission readiness in his first six months, including the establishment of two mission centers within CIA dedicated to addressing the concerns posed by North Korea and Iran, respectively. 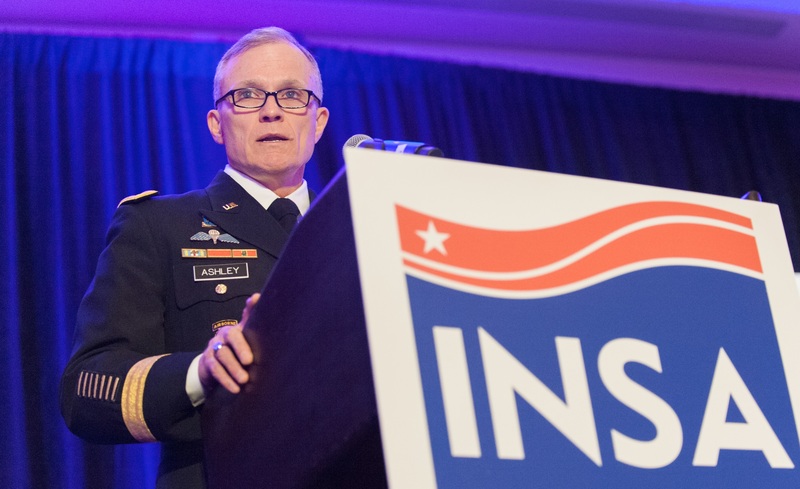 He added that CIA needs “officers of majestic intellect across a wide range of disciplines” to operate effectively against so many varied and evolving threats. Director Pompeo also touched on the role of the press and the challenge that media narratives can present to building and maintaining public trust. “We have to protect important, national security, classified information. Sometimes we can’t set the record straight when doing so could harm national security. But I think it’s fundamentally important we retain the trust of the American people so they will continue to give us the authority and the resources to perform the critical mission we do each day,” he said. 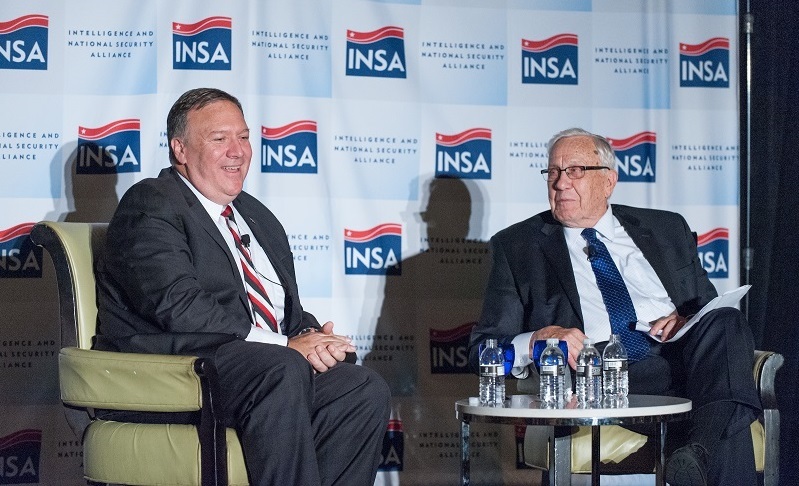 Following his prepared remarks, Director Pompeo participated in a wide-ranging discussion with INSA Senior Intelligence Advisor Charlie Allen. 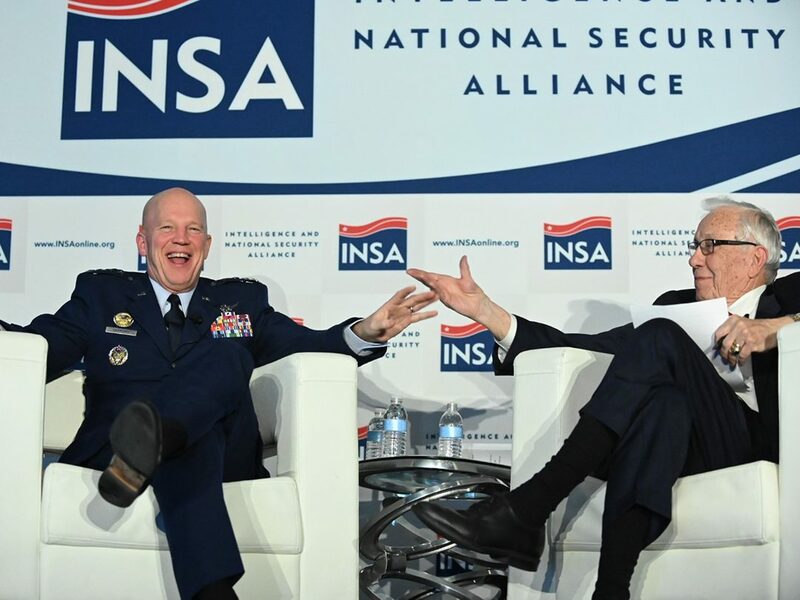 Topics included the importance of the Five Eyes Alliance and cooperation with international partners, workplace morale at CIA, and the history of attempted foreign interference in U.S. elections. 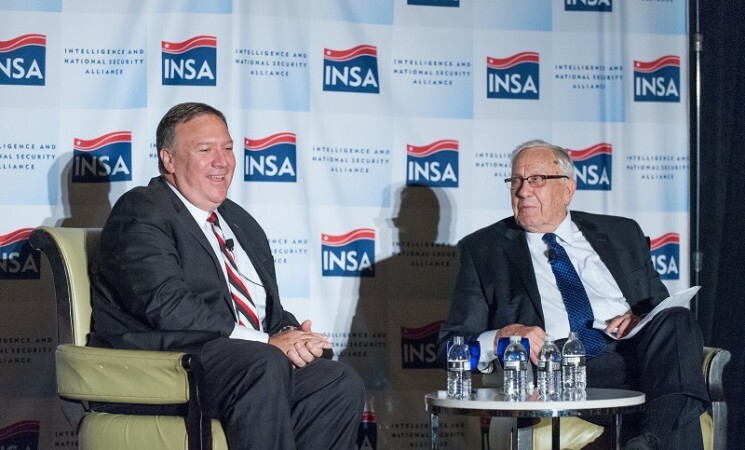 Click here for a complete transcript of Director Pompeo’s remarks and discussion with Mr. Allen. 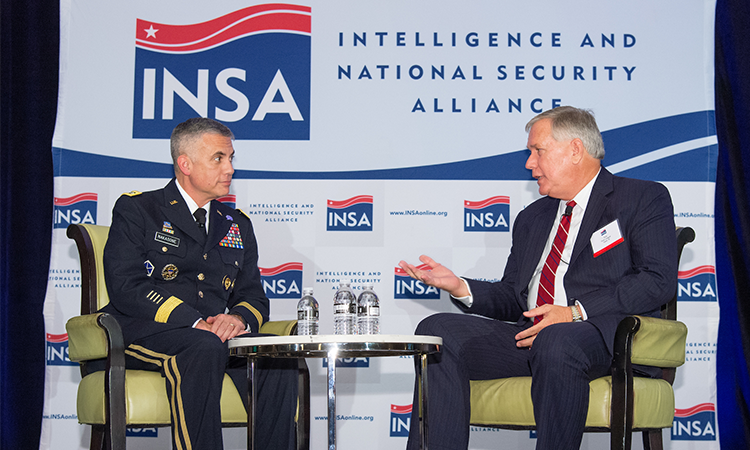 The INSA Leadership Dinner Series provides Intelligence Community leaders a forum to discuss important issues related to their agency as well as broader national security issues. Director Pompeo will participate in the Directors’ Panel at the Intelligence & National Security Summit co-hosted by INSA and AFCEA International on Thursday, September 7, 2017 at the Walter E. Washington Convention Center in Washington, D.C.